Take your desserts, sides, and snacks to the next level with the Terrafirma polka dot ceramic 6-inch bowl in charcoal gray. A shallow, wide shape and natural unfinished stoneware exterior lend an elegant, practical quality to each small dessert bowl. These charming hand-painted pieces pair effortlessly with other pieces in the Terrafirma collection, so you can create a place setting all your own. Each piece is wheel-thrown and hand-painted, which means that no two bowls are exactly alike. 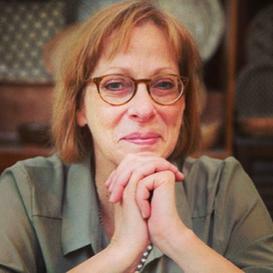 Renowned designer and ceramic artisan Ellen Evans personally signs and dates each piece of pottery, making this an artisanal collector's item fit for your next wedding gift, special event, or holiday. Easy Care - All Terrafirma pieces are food and dishwasher safe.